Welcome to the Go Gifu blog. Our goal is to introduce you to the wonders and delights of Gifu Prefecture, the geographical center and Heartland of Japan. 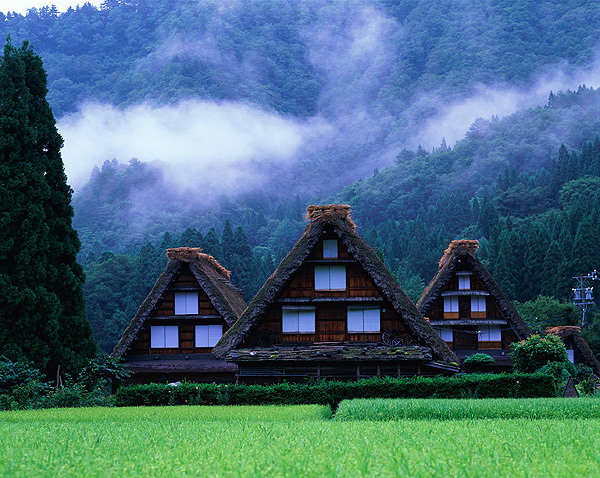 Gifu is a land blessed with majestic mountains, clear rivers, and alluring natural landscapes. The people of Gifu are very proud of their many local traditions, and strive to preserve them as best as possible(meaning that there is much to see and appreciate from ages past). The UNESCO World Heritage Site Shirakawa-go (pictured above), the Historic District of Hida Takayama, the ancient hot spring town of Gero, and the 1,300 year-old ceremony of cormorant fishing on the Nagara River are but some of the examples of the history and traditions that continue to live on to this day. Finally, we would love to see this blog become a platform in which you can become an active participant. So feel free to post comments, ask questions, etc.. Please enjoy!